Col. David Brenner (Ret.) grew up in Winter Park Florida attending local schools and graduating from the University of Central Florida (UCF). After serving 25 years in the US Army, he returned to Central Florida to take over the family’s successful Commercial Real Estate operations where he works with his father and son. Col. David Brenner (Ret. )joins the 46th Space Congress' International Panel representing Bankcoin Reserve (BCR) a Digital Asset and its AAABlockchain. He will be explaining Blockchain and Cryptocurrencies and the effect this new technology is having on the current and future of finance, medicine and all of business and society. Manulife Insurance joins BCR Digital Asset in its philanthropic contribution towards sponsoring 500 graduate degrees. BCR is sponsoring MBAs, Masters degrees and EdD (doctorates) in Education via the Wesleyan University in the Philippines. BCR is KYC & AML Compliant and Banker friendly. BCR is also sponsoring STEM learning via portable planetarium shows seen all over the world that teach children about the planets and the universe. Col. David Brenner (Ret.) 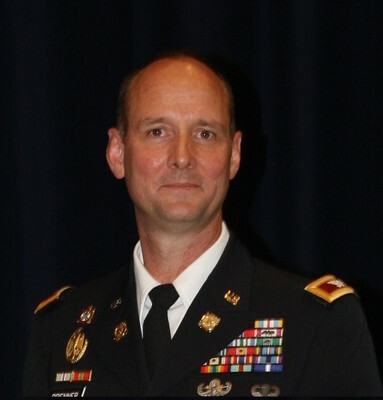 was commissioned to the Regular Army in 1990 as a Distinguished Military Graduate of the University of Central Florida Army ROTC program as an Ordnance Officer, detailed to the Field Artillery. His initial assignment was in the 7th Battalion, 15th Field Artillery in the 7th Infantry Division as a Fire Support Platoon Leader. As an Ordinance Officer he commanded Explosive Ordnance Disposal (EOD) units at the Detachment and Company levels, and he served in the 101st Ordnance Battalion as the S-1 and as Operations Officer. He was posted to the NATO headquarters, Larissa, Greece, where he served as the Strategic Planning Officer for Logistics and was the Joint Military Affairs Officer in Stabilizing Force (SFOR) Bosnia. In 1997, the Army selected him for service in the Foreign Area Officer program as a Middle East specialist. Following Arabic Language training at the Defense Language Institute, he completed multiple tours in the Middle East; serving twice in the Defense Attaché Office in Cairo, Egypt, assigned as the Army Liaison Officer to the Israeli Defense Force in Tel Aviv, the senior transition planner in the Office of Security Cooperation – Iraq, the USCENTCOM Liaison Officer to US Forces – Iraq, and the Senior Defense Official and Defense Attaché to Lebanon at the Embassy in Beirut. At the Defense Intelligence Agency he served as Chief of the Libya Crisis Team during Operation ODYSSEY DAWN, and as Director of the North Africa Branch. His final military assignment was as the Senior Military Advisor to the US State Department’s Assistant Secretary, Anne Patterson, and the Near Eastern Affairs Bureau. Col. David Brenner (Ret.) has deployed to Iraq in support of operations IRAQI FREEDOM and NEW DAWN, and completed an operational tour to Bosnia-Herzegovina. He served at five embassies in the Near East and in nine countries. He holds a Bachelor of Science degree in Business Administration from the University of Central Florida and a Masters of Arts degree in Near Eastern Studies from Princeton University. Col. Brenner (Ret.) is married to the former Teresa MacPherson of Winter Park, Florida, and they have two grown sons, Benjamin and Matthew.